Back then, before law school happened, I loved to pour out my innermost thoughts, and put them on paper. 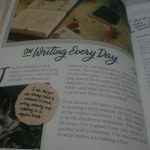 They were pretty much emo-laden thoughts (not exactly proud of that haha)–and although I cringe about what I have written back then, I pretty much enjoyed making it look pretty all the same. 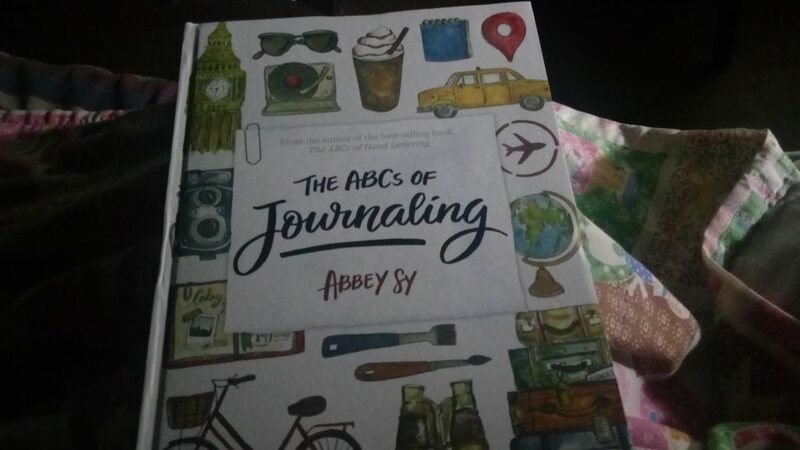 The release of Abbey’s new book, The ABCs of Journaling brought me back to those days. I relished every stroke of the pen while I write my thoughts about something. It was heartbreaking because these journals met their demise through an overturned glass of water. And because they were unsalvageable, they were all eaten up by flames–lickety split. 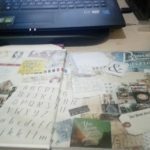 The ABCs of Journaling has inspired me to start again–and it’s had me buying other related paraphernalia (blank journals I have aplenty)–washi tapes, pens (oh dear Lord, the biggest vice ever-don’t get me started on that)–I could go on. 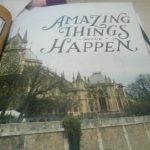 The book, while a slim volume, packs a lot of information–plus it has a few DIY projects, if that’s your thing! 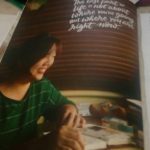 And it also features journals from other awesome, creative people, and a bit of trivia–there’s a mini-feature on famous diarists like our very own Jose Rizal (Philippines, represent! ), Anne Frank, and Samuel Pepys. So, in a nutshell, what can I say about this book? It’s the best early birthday gift a girl can give to herself. 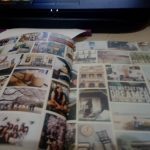 I can very well tell you that buying this book is a good personal investment–and by personal investment, I mean that it’s one that enriches your heart and soul. 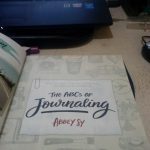 The ABCs of Journaling is available in all major bookstores nationwide, for P350.